England have learnt valuable lessons from their bad days, but still need to find consistency, reckons team boss Martin Johnson as he looks towards a challenging autumn programme. They will go into internationals on four consecutive weekends - starting with the visit of the vividly impressive All Blacks to Twickenham on November 6 - buoyed by the best result yet of Johnson's tenure, the 21-20 victory over Australia in Sydney in June. At the same time they are aware both of their inability so far under Johnson to put together runs of good performances, and that they have struggled in both autumn programmes since he was appointed. Johnson, who will name the 22-man squad for the All Black match next week, was speaking at an event to mark the signing of a six-year deal with French fashion company Eden Park to fit out England's players. "They have been through some tough losses," said Johnson, "a two-point defeat by the Grand Slam champions, and against Australia in Perth was disappointing because we didn't play as well as we can for the whole game. The Sydney win came out of those times". But, he added, "We don't want to have to have a bad performance to spark a good one, we need consistency…We need to keep reminding ourselves we can get confidence from good performances and if we do that the results should follow." Johnson said that there would be defeats between now and next year's World Cup 'unless everything goes brilliantly', but still gave off a sense of optimism not always apparent at previous times since his appointment in the summer of 2008. He said 'the strength and spirit is coming' and that he was happy with the age and experience balance of his squad. "In the last year or so we've seen the transition. We have a lot of young players who have come through and deserve to be where they are. We are going in the right direction and we have a really good mix - a lot of players who are under 25 but also that core of those who are 30 plus and have 50 caps. You need that experience." He also believes that they are in much better shape than the banged-up, depleted group who went into last year's autumn programme. "We've got a lot of people who have been playing well for their clubs and have just had a couple of very demanding weekends in European competition." Johnson was also optimistic that incumbent captain Lewis Moody will be fit to play against the All Blacks. "He's pretty good, although it will be touch and go". Should Moody not make it Johnson, whose downplaying of the importance of the captaincy that he filled with such memorable distinction has been a recurrent note of his tenure as manager, said, "We have a group of people who might be chosen as captain, a very good group of senior players and strong characters like Mike Tindall, Mark Cueto, Nick Easter and Steve Thompson. "If you allow yourself to get dependent on a single guy, there's always a risk of his not being there". He also expressed confidence that any French-based players in his chosen squad will be available for the whole of the preparation period and warned, "They need to be there for the whole time, I can't compromise our preparation." 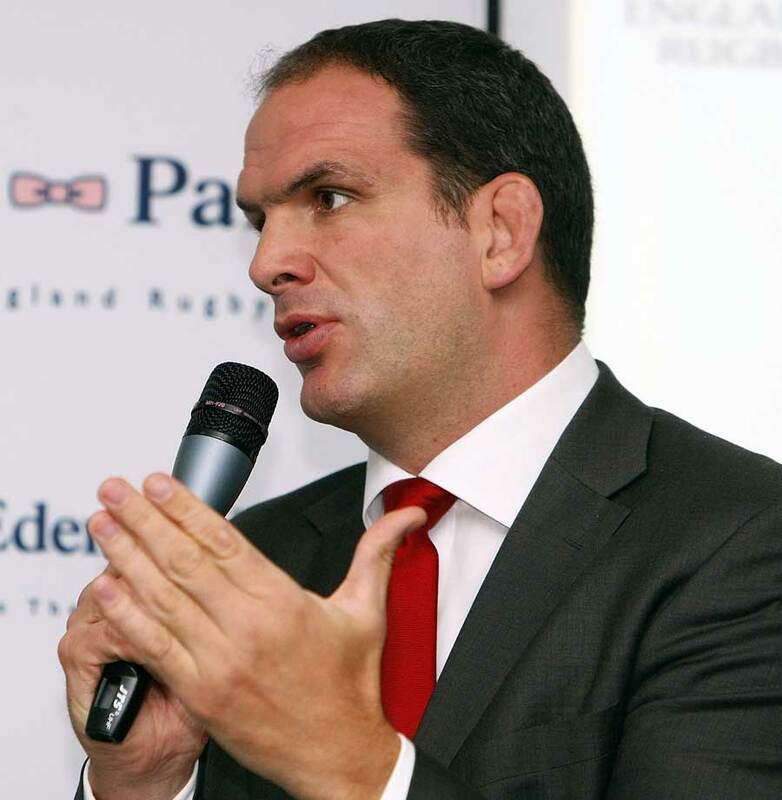 Rob Andrew, England's director of elite rugby, said that while he had not seen the club contracts of French-based players - he pointed out that they are confidential between player and club -he had been assured that they contained clauses guaranteeing their release.